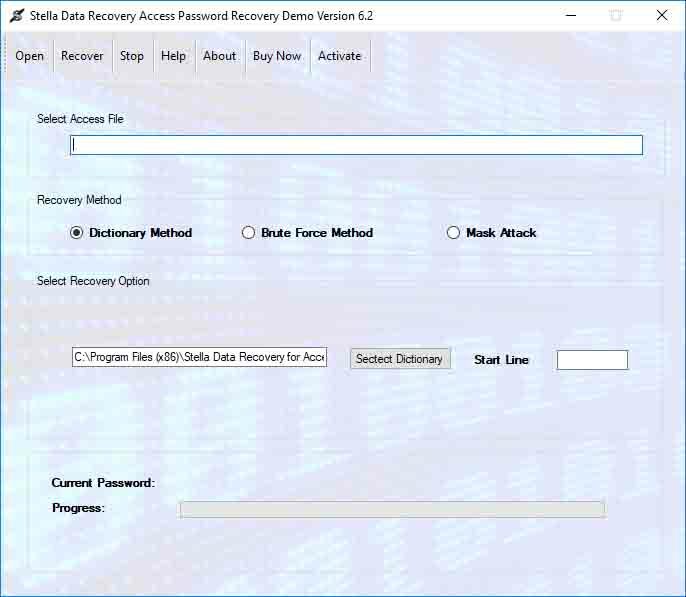 Stella Access password recovery software is instant solution to remove ms access password from such version of MDB file (2016/2013/2010/2007/2003 and 97). This software is flawless app to reset access password and recover mdb password as well as it also crack any kind of access file password. This Stella MDB file password remover tool carefully recover access file password. If you have add alphanumeric/numeric/alphabetic/symbolic and combination of password then this Stella Access password recovery software is easily break any kind of password because it has an extra quality to full fill users requirements. This application provides you simple step to break Microsoft MDB file database password. You can try software demo version at free of cost with this demo option you can recover 2 character of your access file. If you want to remove whole password from MDB file then get full version of Stella access password recovery software. Recent Changes: An amazing Access password recovery software crack MDB file password and open your lock access file password.